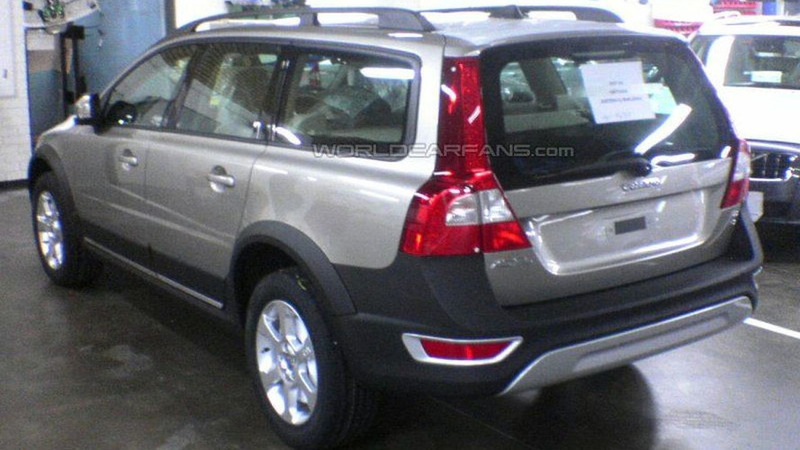 Here is another set of spy shots showing the brand new Volvo XC70 in full showroom trim. Its launch is scheduled for coming March at the Geneva Motor Show. Here is another set of spy shots showing the brand new Volvo XC70 in full showroom trim. Its launch is scheduled for coming March at the Geneva Motor Show. The XC 70 is the 4x4 SUV version of Sweden's bestselling car, the V70, and now the fourth generation will be different in many ways from the current model. The front end is featuring an off-road-style bumper in matt plastic and a muscular looking front grille. The next eye-catcher are the foglights, mounted in a silver frame. Inside the same frame you can also find the sensors for the park-distance control. The silver look returns at the bottom at the bumper, to mark a cosmetic protection bar. A car for active people with an active lifestyle should have roof rails, and in this case Volvo's design team really gave the new XC70 a different type of rails. Look closely and you can see that they are starting at the bottom of the windshield, following the A-pillar all the way over the roof. Just like the present XC70, the fenders have been made wider with some help of black plastic, also found on the lower parts of the doors. To lighten it all up, there will be some aluminium decor along the doorsides. The painted mirrors with integrated indicators seem to be bigger than on the normal V70. The interior will be pretty much the same as in the S80 / V70 with some minor changes like some extra handle and off-road inspired leatherwork. The smaller engines from the V70 will not find their way into the XC70, the engine list is started by the 2,5 T with 210 bhp and it will be joined by the 3,2 liter 6 cylinder with 238 bhp and the V8 built by Yamaha with 315 bhp. Dieselfans will ejyoy the 185 bhp engine. 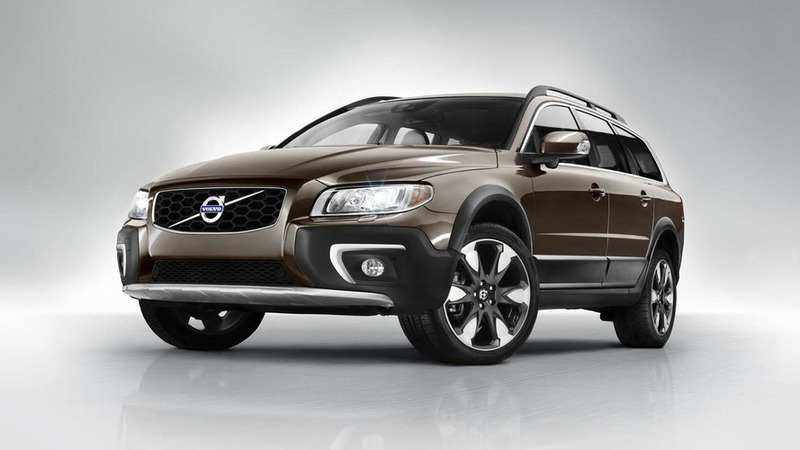 Haldex supplies the latest generation of their 4-wheel drive for the XC70. In view of the higher petrol prices the buyers' demands go for smaller SUVs, thus the XC70 and the coming XC60 will fit in very well. While the XC60 is based on the Land Rover Freelander II and aims for the BMW X3, the new XC70 will try to make life hard for Audi's Allroad.